I hope this note finds you well. 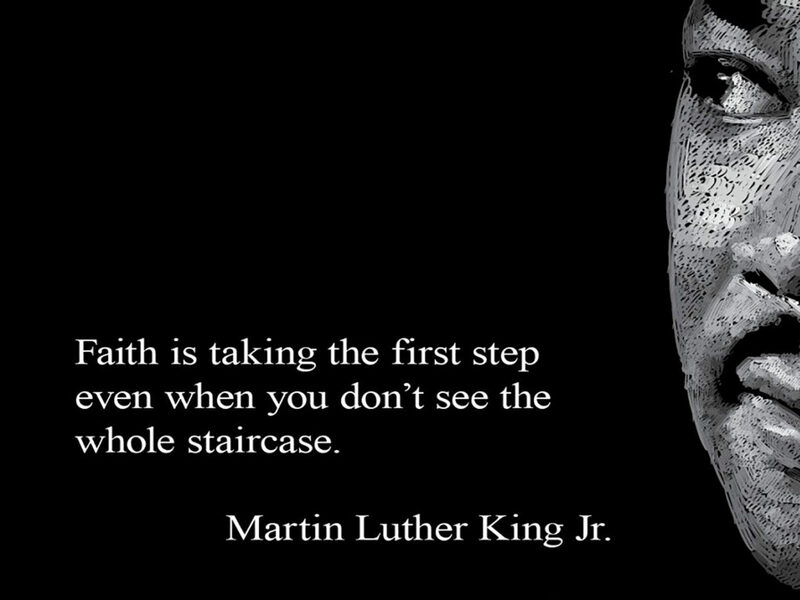 Today is the beginning of the holiday weekend marking the 90th birthday of Dr. Martin Luther King, Jr. I know some of you will be taking advantage of the long weekend to spend time away with family and friends. However, if you are in town, I hope you will join us for worship on Sunday as we continue our series on “The Fruitful Congregation.” This month we are focusing upon the essentials of vital churches. The first Sunday we gathered at the Lord’s Table as we celebrated the Sacrament of Holy Communion and thought about what it means to practice radical hospitality – to welcome others in the same way that Christ has welcomed us. And last Sunday we gathered at the font to remember our baptism and hear the psalmist’s invitation to be passionate about worship. This week we will spend some time thinking about intentional spiritual growth. That word “intentional” is important because spiritual fitness, like physical fitness, does not occur without conscious effort. When Jesus encouraged his disciples to “ask…seek…and knock…”, he was inviting them to be intentional about growing in their devotion to God. When you want to lose weight, you tend to educate yourself about nutrition, exercise, and healthy lifestyle habits. The same is true when you want to become spiritually fit. Do you have a plan for growing deeper in your relationship with Christ? Do you know the lifestyle habits of spiritual fitness? I hope you’ll join us Sunday as we learn from the first century Christians as outlined in Acts 2. If you will be unable to be present Sunday, I do encourage you to worship with us online through the church app or website: www.prumc.org. Committee of 100 — The “Committee of 100” consists of 100 laypersons in our church who meet once a year to consider Peachtree Road’s progress in ministry over the last year, offer a critical look at our goals for the coming two years, and recommend new initiatives for the third year out. This way, we always have a dynamic three-year plan in place. The committee is set to meet on Saturday morning, January 26, and I will be sharing with them our initiatives for the coming two years in hospitality, building bridges that cross the racial divide, and exploring the possibilities for a ministry initiative in midtown. In addition, I will be soliciting their input for ministry dreams for the future. Please pray for the work of this committee, and I look forward to sharing the results with you at a later time. Voices of Hope Concert – On Sunday, January 27, the Voices of Hope choir will be in concert in our sanctuary at 5:00 pm. “Voices of Hope” is comprised of women from Metro State Prison and is under the direction of Chaplain Susan Bishop. Many of you have heard the beautiful music of this dedicated group when they worshiped with us a couple of years ago. I am inviting you to this concert at which you will not only hear their beautiful music, but a testimony of a life transformed by the grace of God. I am grateful for the women of our church who partner with Susan throughout the year to offer support and encouragement to these remarkable women. I look forward to seeing you at this concert. The start of a new year always is a good time to make a new beginning, and we have seen a significant uptick in attendance the last two weeks. I hope you will join me in looking for new faces, speaking to them, and offering the warm hospitality for which Peachtree Road is known. If you or someone you know is looking for a new church home, certainly know that we would love to connect. Do not hesitate to call on me or Mimi Brunson (MimiB@prumc.org) for help. These are good days to be a part of this outstanding community. I would like to invite you to pray for our senior high youth who leave today for a ski retreat to Snowshoe in West Virginia. We have 50 from our church on this retreat, and I know they would be grateful for your prayers for safety and warm fellowship. I am grateful to Chris Mucha and his outstanding staff for their leadership in our church. I look forward to seeing you Sunday and in the days ahead.